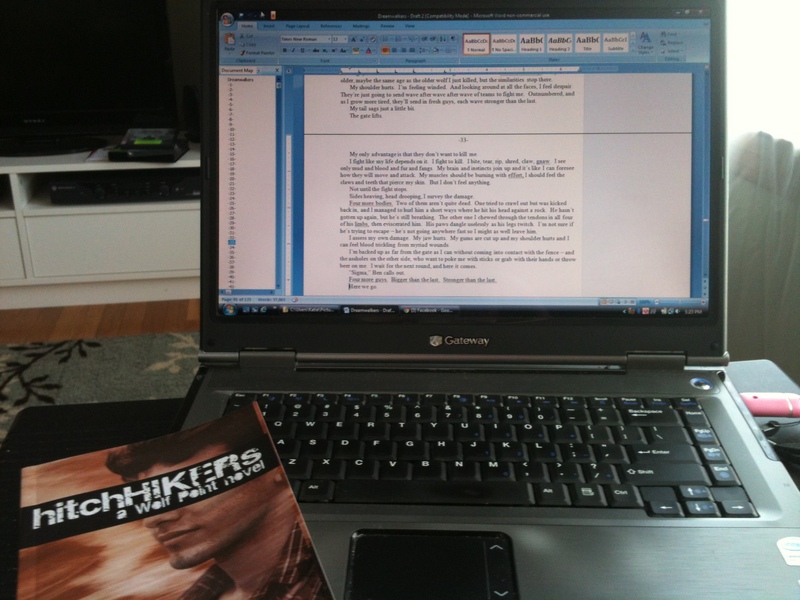 Look, see, I’m editing Dreamwalkers! The TV is even off! (Made possible due to the completion of my “Parks & Rec” marathon). My goal is to complete editing by the end of this week. Only 13 chapters to go! And then another read-through! And probably another round of editing… Editing is a lot more work than one might think. And yes, editing is crazy hard. I sent my book off to my editor (i.e., my mother), and I just heard from her that I’m going to need to revise the story. Again. AHHHHH! Yeah, I keep going along and then notice an inconsistency and have to go back… second round of edits happening now…. But the end is near!